Every Acura vehicle has been engineered to precise specifications in order to ensure durability and optimal performance for many years, but to get the most out of your Acura you need to bring it into your Acura service department for regular vehicle maintenance. But what’s the Acura car maintenance schedule, and how do you schedule an Acura service appointment near Denver? Find out here with Fisher Acura in Boulder, CO! While all Acura vehicles require regular service, there are variations based on the particular model you drive and contingent factors such as driving behavior, road conditions, and the weather and climate where you drive the car. Luckily for drivers in Denver, Acura makes it easy for you to keep track of Acura service and maintenance with the help of the on-board Acura Maintenance Minder system. 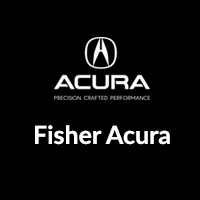 Get Professional Acura Service Near Denver at Fisher Acura! No matter what kind of service you’re looking for on your car maintenance schedule, you can always count on the certified Acura technicians at Fisher Acura to get the job done right. We’re located just a short drive from Denver at 6025 Arapahoe Rd in Boulder, CO, and we have a number of service specials going on right now. To set up an appointment, give us a call today at (303) 998-6295.